RSA public key cryptography secures voter identity and election integrity. All users maintain anonymity. Ballots cannot be traced back to the voter. Ballot counting and voter identity are publically auditable for maximum trust. It is E2E verifiable. A RESTful API with support for multiple client front-ends. Released under the AGPLv3 License and maintained by the community on Github. Be notified about updates by subscribing via Twitter. CryptoBallot is a secure election server daemon that does the grunt work to secure online voting for your web or mobile application. In the same way that Solr is a search engine, and memcached is a caching engine, CryptoBallot is a secure election engine. 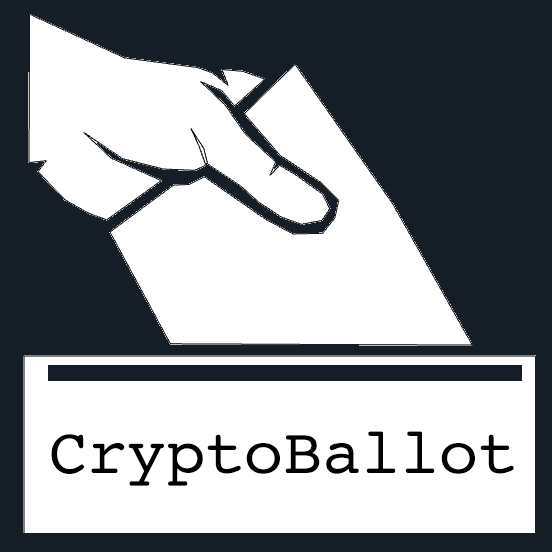 CryptoBallot does not provide a UI to users, but rather provides a easy-to-use RESTful API so application developers can enable rock solid cryptographically secure voting in their apps.